As the summer festival season kicks into high gear, so do the troubles that inevitably accompany large groups of people gathering to listen to a lot of loud noises in massive outdoor venues. 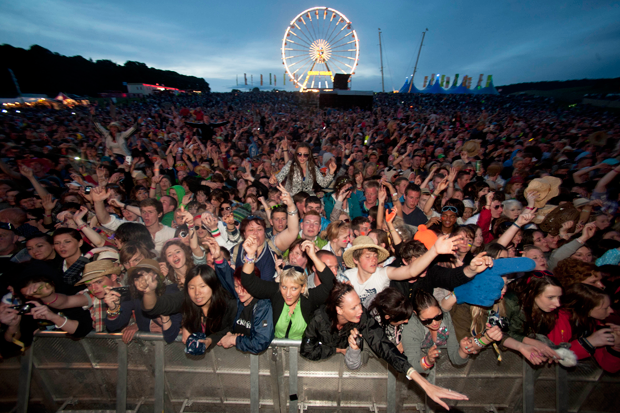 The year’s first tragedies struck at Scotland’s RockNess fest, where, as the BBC reports, a 19-year-old attendee collapsed Saturday night and subsequently died. The Portobello native, Alex Herriot, was rushed to a nearby hospital but “failed to respond to treatment.” Though an autopsy is still imminent, a police spokesman said that “early indications are that the man may have consumed drugs.” Two others, one 19 and another 20, were also hospitalized “after taking so-called ‘legal highs,'” potentially, police say, via “the latest pink ecstasy tablet” or a legal, MDMA-containing substance called Benzo Fury. Two additional people died near the grounds the same night, a van driver (38) and his passenger (28), both “decorators from the Glasgow area,” following a crash with a shuttle bus transporting people to and from the fest. Things stateside haven’t been totally sunny either. Per the L.A. Times, Electric Daisy Carnival’s original iteration, on Las Vegas’ Motor Speedway, was thwarted over the weekend, due to extreme weather conditions. High winds forced organizers to round up the glow-sticked mass of 90,000 (that’s 10,000 more than this year’s Coachella attendance) and push them back into the speedway stands, away from the festival stages, from 2:45 a.m. until 5:30 a.m. “Temporary sound systems located on the infield grass of the stadium,” an official statement said, were set up for fest-goers who were still interested in rocking out to headliners Tiesto and Avicii without actually seeing Tiesto and Avicii. In mandating the evacuation, organizers most certainly took cues from the two tragic collapses of last summer, at the Indiana State Fair during Sugarland’s set and at Belgium’s Pukkelpop fest during Smith Westerns’, which killed seven and three people respectively.